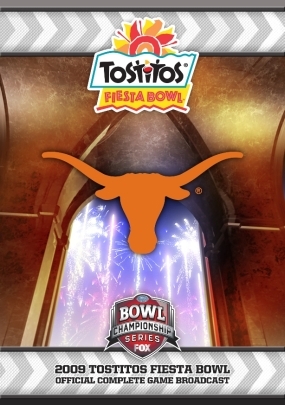 The 3rd ranked Texas Longhorns defeated the 10th ranked Ohio State Buckeyes 24-21 to claim the 2009 Tostitos Fiesta Bowl victory. Texas was led by quarterback and Heisman trophy finalist Colt McCoy, who completed a school record 41 of 59 passes for 414 yards, two touchdowns, and ran for another score. Down 21-17 with just over two minutes to play, McCoy led the Longhorns on an 11 play, 78 yard drive, capped by a 26 yard touchdown pass to senior Quan Crosby with 16 seconds left in the game. The Official FOX Sports/BCS Tostitos Fiesta Bowl DVD includes the commercial-free game broadcast as well as special bonus features. 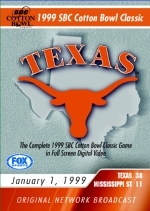 It is a great addition to any Longhorn fan's collection.